Let Sun Dancer work her magic... Excellent for severely dry, chapped or cracked skin. Also use as a healing treatment for minor abrasions, burns, insect bites, rashes and all manner of life's little irritants. 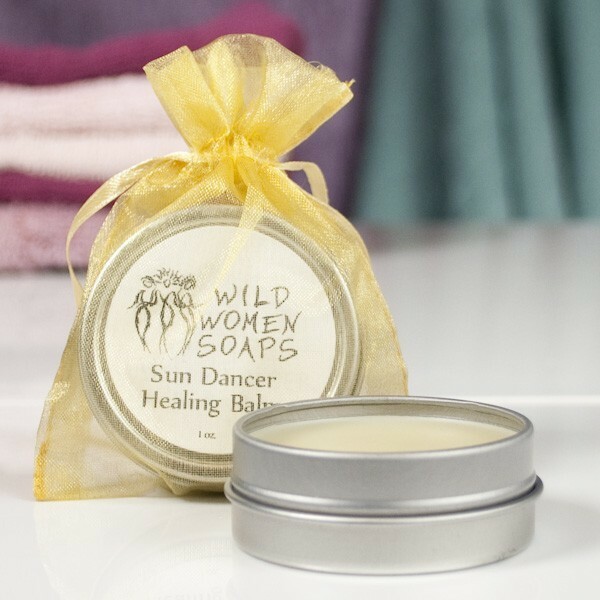 Our healing balm is made with pure jojoba oil that is sun-and-moon infused with Arizona creosote, St. John's wort, comfrey, chamomile and calendula petals. We've also added the healing benefits of kukui nut oil, beeswax and tea tree oil. Sun Dancer comes in a one ounce tin with an authentic desert scent. Add one to your first aid kit, purse, or diaper bag, a great gift for hikers, parents and all life adventurers! Ingredients: pure jojoba oil sun and moon infused with Arizona creosote, St. John’s wort, comfrey, chamomile and calendula, kukui nut oil, beeswax, vitamin E oil and tea tree oil.